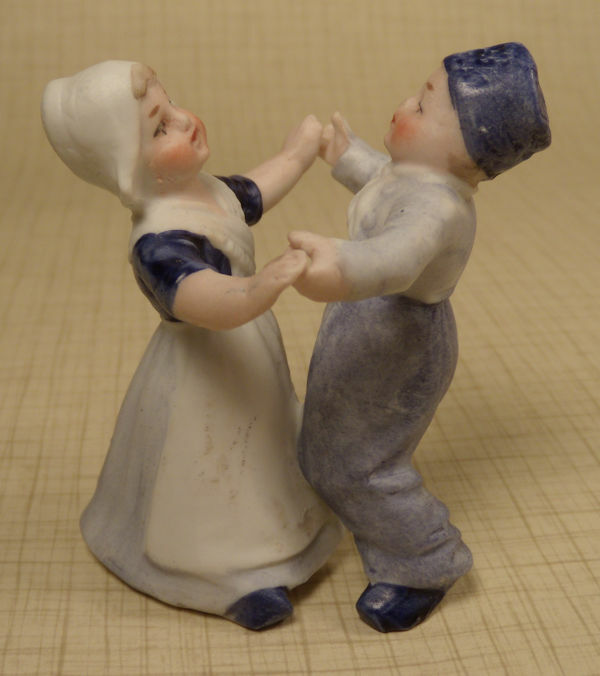 Darling Dutch boy and girl facing each other and holding hands dancing. Made by the Gbr. Heubach firm, c. 1915 in Germany. All bisque and lovely shades of blues. Gentle and delicate facial features. 2 3/4" high. In great condition with no breaks or repairs. 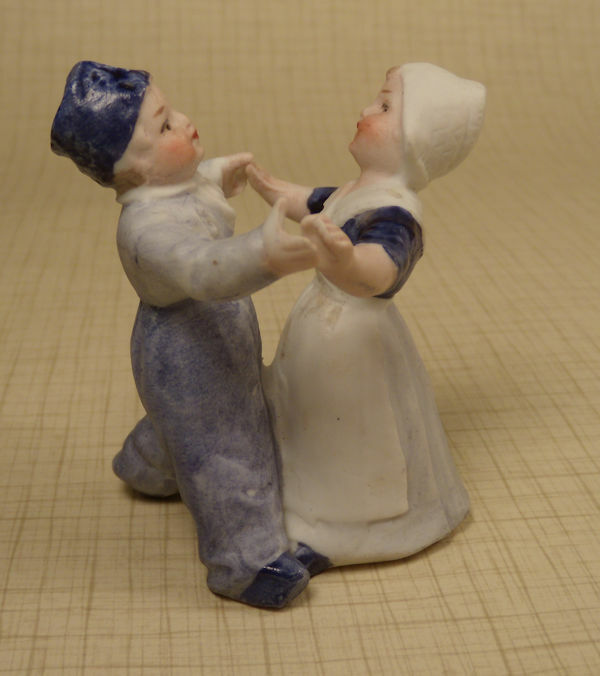 No markings on these small Dutch children pieces, but pictured in the Heubach book by Lydia Richter.